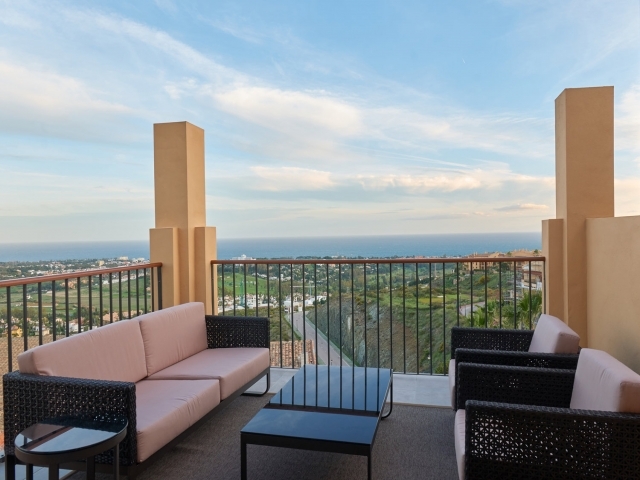 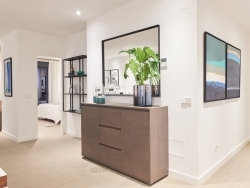 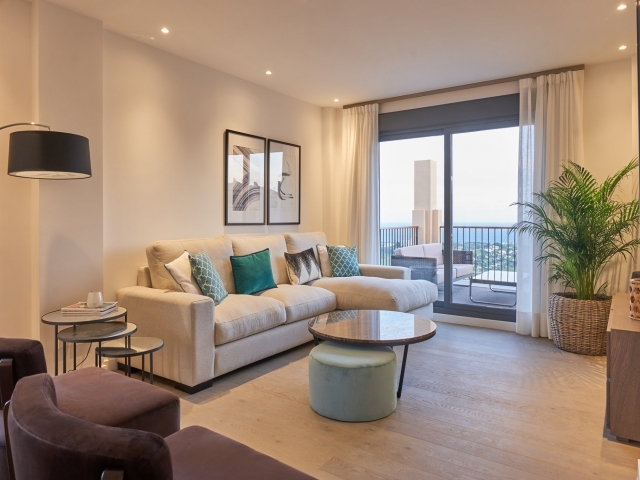 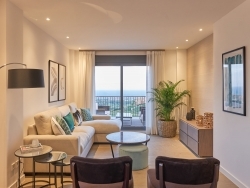 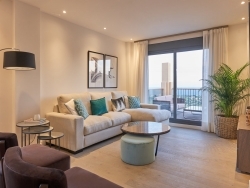 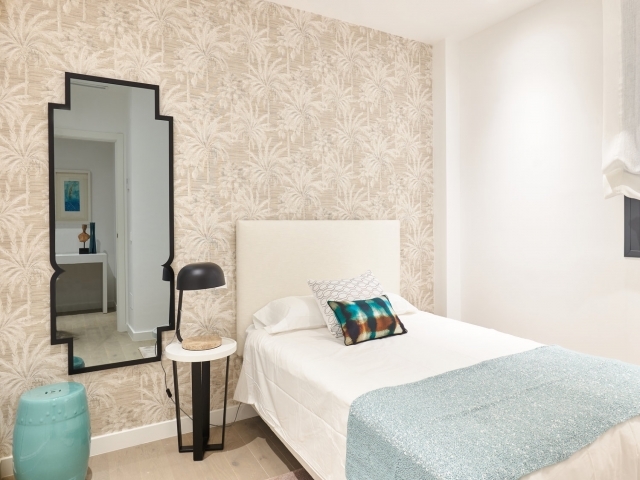 22 by Quartiers is a stunning residential development set in the hills of Benahavis comprising two blocks of 22 newly-built units in gorgeous communal gardens. 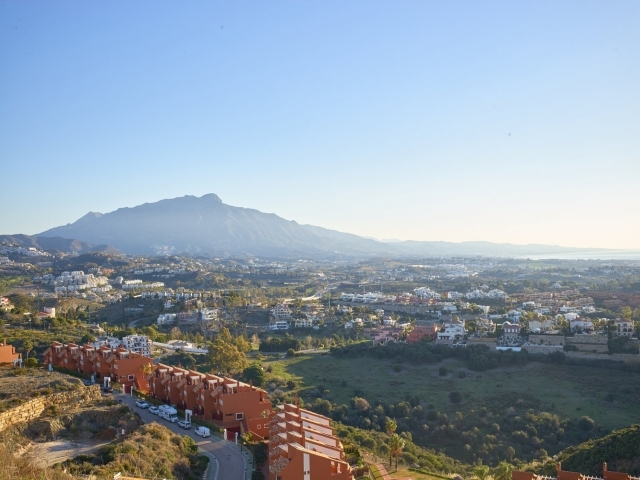 Situated within the gated community of Hacienda de Cifuentes the complex is just a ten minute drive to Puerto Banus and boasts a wealth of on-site facilities; four swimming pools including an infinity pool, a pool bar, 24 hour security and a concierge service. 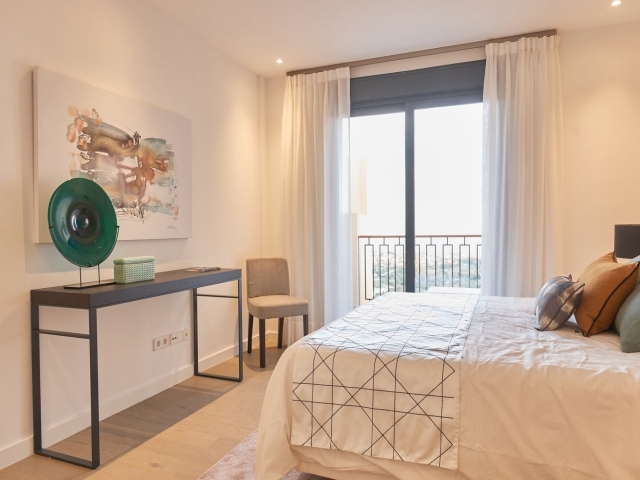 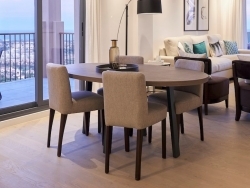 22 by Quartiers delivers a unique mix of Andalusian style and contemporary design in the form and 2 and 3 bedroom south facing apartments with wooden floors. 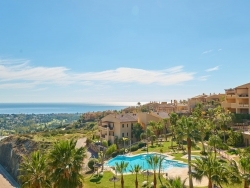 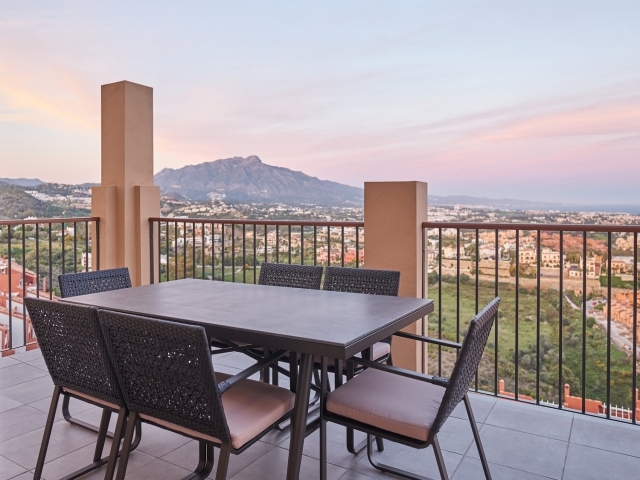 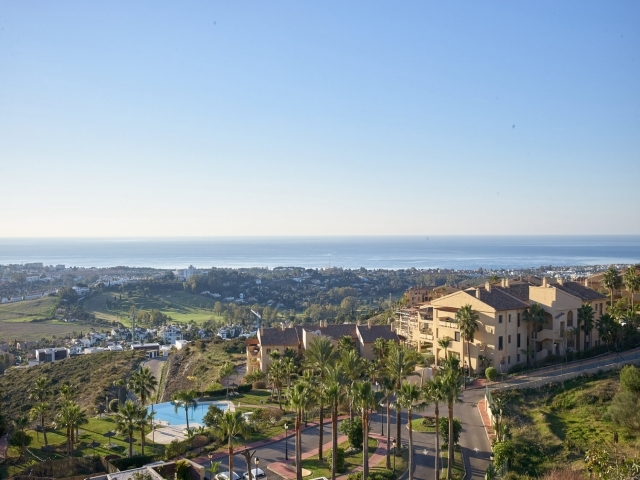 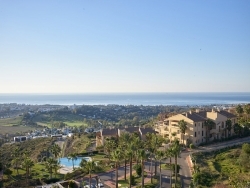 Its elevated positioning above Marbella allows for, quite simply, breathtaking views across the Benahavis Golf Valley and the Mediterranean Sea. Accommodation comprises an entrance hall with cloakroom, living/dining room with spacious south facing terrace, open-plan kitchen fully fitted with Gaggenau appliances, master bedroom with en-suite bathroom and second bedroom with balcony and a separate bathroom. 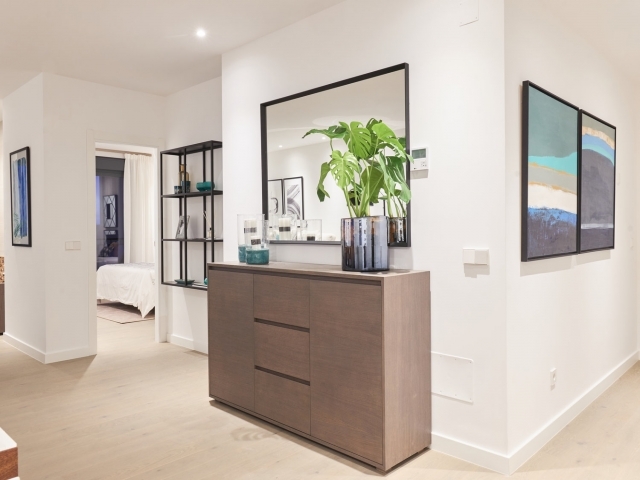  There is a designated parking space for one car in the underground garage and a large storage room. 22 by Quartiers offers a rare opportunity to acquire a high quality modern apartment in this prime tranquil setting.